LAHORE: Investors and businessmen from Tajikistan on Monday showed a keen interest in taking advantage of the incentives offered by Prime Minister Imran Khan in order to increase the bilateral trade with Pakistan to $500 million per annum. An 18-member Tajikistan delegation, led by Union of Private Sector Development of Tajikistan Chairman Radzhabov Fayzali Kurbonalievich, called on Pakistan Furniture Council (PFC) Chief Executive Mian Kashif Ashfaq in Lahore. 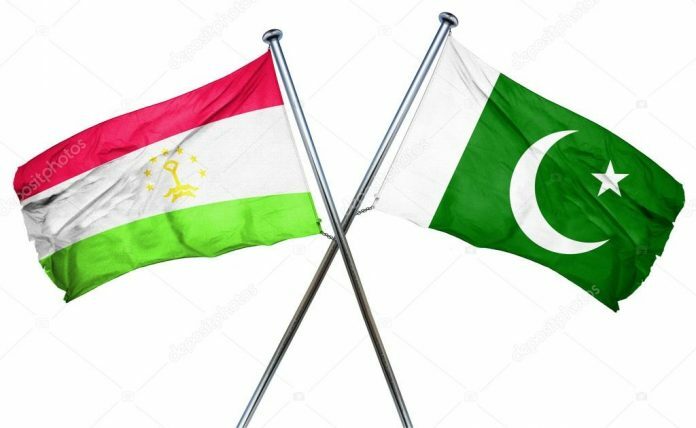 Speaking on the occasion, Kurbonalievich said Tajikistan is keen to promote bilateral trade with Pakistan as both countries have huge potential to enhance cooperation in different fields. He said the delegation has come to Pakistan to explore new vistas of investments, besides giving new impetus to their ties through enhanced cooperation in diversified areas, including trade, energy, furniture, garments, cotton, connectivity, health, education and culture. He urged that the Pakistani businessmen become proactive and promote business relations with their Tajik counterparts. He said that Pakistan could export many products to Tajikistan, including furniture, sugar, textiles, cement, sports goods, surgical instruments, pharmaceuticals and leather products. The Tajik business leader said that investors of China and other countries are taking an active part in the Tajik market and emphasized that Pakistani investors should also focus on Tajikistan to get easy access to the huge market of Central Asia. Welcoming the delegation, PFC Chief Executive Mian Kashif Ashfaq said that Tajikistan is a gateway to Central Asia and Pakistan wants to develop close cooperation with it in the furniture and garments sectors. “In the 21st Century, Asia will contribute 52pc to the GDP of the world. This will create a lot of opportunities for regional growth and investment,” he remarked. Mian Kashif Ashfaq said Pakistan’s furniture industry, with its innovative design, has the potential to dominate global markets, adding that close liaison between Pakistan and Tajikistan in this regard could take the industry to new heights. He said a delegation of PFC would also visit Tajikistan to explore new investment avenues and to share its vision, expertise, economic studies and project-specific reports. “Quality furniture products of Pakistan are comparatively economical as compared to other countries,” he mentioned. He also appreciated Prime Minister Imran Khan for giving special attention to the revival of the furniture sector and for increasing the volume of exports along with exploring new international markets. “We are more than eager to expand the volume of trade with friendly countries in the region,” he added. Mian Kashif Ashfaq also briefed the delegation about the prospect of foreign investment in the garment industry and offered them all available facilities to explore opportunities in the furniture and garment sectors. Later, the delegation visited the Chenone store in Gulberg and evinced keen interest in various latest designs of garments and furniture.